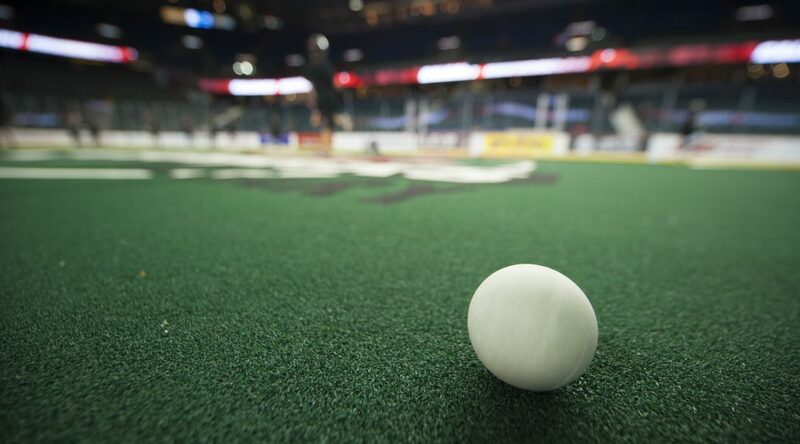 Calgary, AB – The Calgary Roughnecks Lacrosse Club today announced its 21-player active roster and practice roster for the 2018-19 National Lacrosse League season. The active roster includes 14 returning players and seven new faces. Free agents Rhys Duch and Chris Boushy join forwards Dan Taylor, acquired from the Toronto Rock on Aug. 13, and Jesse King, acquired from Georgia Swarm on Sept. 26. Three players from Calgary’s 2018 draft class: defencemen/transition players Shane Simpson (first round, sixth overall), Eli Salama (first round, 12th overall) and Reece Callies (first round, 13th overall), round out the 2018-19 Roughnecks active roster. Forward Carter Dickson, selected in the third round, 45th overall in the 2018 NLL Entry Draft, has been named to the practice roster while forward Ryan Martel has been moved to the physically unable to perform list after sustaining a lower body injury. Defenceman Curtis Manning has been placed on the injured reserve list with a lower body injury. The Roughnecks are currently in contract negotiations with forwards Wesley Berg and Curtis Dickson. Calgary will open their 2018-19 home schedule on Saturday, December 15, against the West Division rival Vancouver Warriors. Scotiabank Saddledome doors will welcome fans at 5:30 p.m. for the $5 Happy Hour featuring food and beverage specials at all concourse concessions. The $5 menu will run from 5:30 p.m. to 7:00 p.m. during all nine weekend home games. Saturday, December 15 vs. Vancouver, 7:00 p.m.
Friday, December 28 vs. San Diego, 7:00 p.m.
Saturday, January 12 vs. New England, 7:00 p.m.
Saturday, February 2 vs. Vancouver, 7:00 p.m.
Saturday, March 9 vs. Toronto, 7:00 p.m.
Saturday, March 16 vs. Colorado, 7:00 p.m.
Saturday, March 30 vs. San Diego, 7:00 p.m.
Saturday, April 13 vs. Georgia, 7:00 p.m.
Saturday, April 20 vs. Saskatchewan, 7:00 p.m.